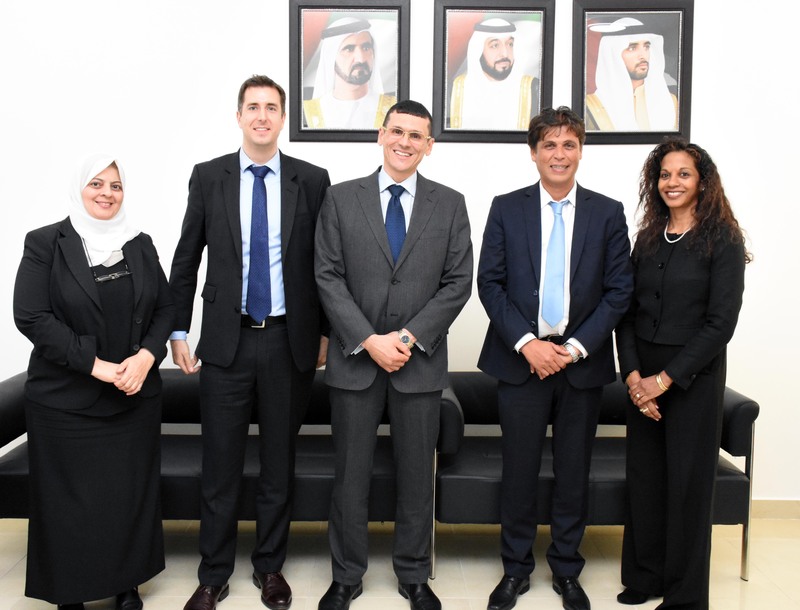 The Vice President for Academic Affairs, Dr. Sameer Al Barghouthi, Dr. Bernadette Warner, Dean of the College of Business Administration and Ms. Ghada Waleed, Director of Student Affairs Unit, of Al Falah University, Dubai, UAE welcomed Dr. Elias Boukrami, Programme Director, MSc Oil and Gas Trade Management and Mr. Chris Milne, Senior International Officer of Regents University, London on Monday April 11, 2016. The meeting focused on building inter-institutional collaboration between Al Falah University and Regents University, London. 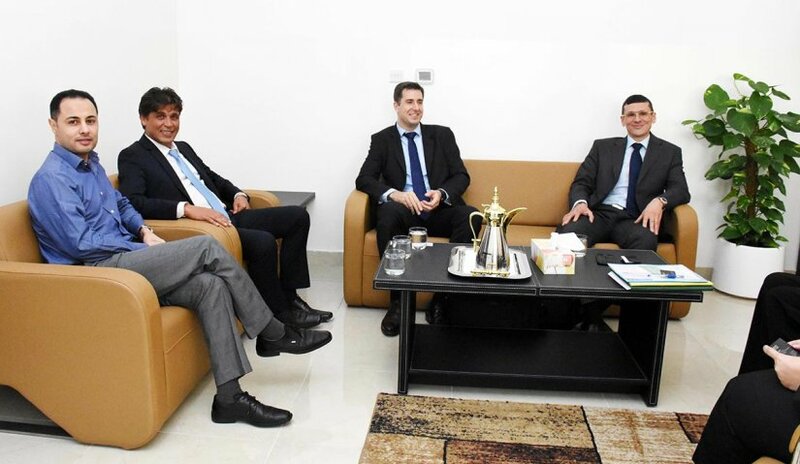 Both institutions plan to collaborate in delivering executive education programs in Dubai and London, mainly focused on Oil and Gas Trade as well as Luxury Marketing. Both institutions will also explore opportunities for internship experiences in Dubai and London for students of both universities. This collaboration is consistent with the University’s goal of internationalizing the curriculum to enhance the learning experiences of all students as well as to build the AFU Executive Education Center to offer certified training programs to the corporate and public sectors. AFU Student Does It Again!